So I'm officially lame at keeping up this blog. I have enough trouble keeping up my regular blog, and I'm trying to launch a photography one....so thus, blogging on this one suffers! But just so you know- yes, I'm still continuing to host families and am loving it. I need to glance through my guest book and get the running total, but I've been opening my home to adoptive families for 2 years and 2 months now and I'd guess I'm somewhere at around 80 families hosted! It has been heaps of fun-- so many stories shared and so many wonderful new friends. Next project...writing a book! :) Hopefully it will come together better than this blog currently is! Email if you want info on housing and follow along at my regular blog here. Do you ever just wish you could take a perscription pill to make your post-adoption challenges fade away?? I know many do! There is a very exciting resource I want to share with foster and adoptive families- one that Orphan's Promise launched just in the last few months--a new DVD series called 'Adoption & Foster Care Rx, Solutions for Wounded Families.' Its a series with seven sessions, including real stories from real adoptive families and also advise and interviews from the experts, including the brilliant Karyn Purvis! Several of my dear friends who have walked the adoption journey are featured in this series and it is so exciting to see how God is using their stories to minister to others who are walking the same path of ups and downs. I'm just thrilled we took this project on. I'm a huge fan of promoting adoption, but I also know that as strongly as we advocate adoption we must also provide the resources needed to be successful and the places to turn with things are down right HARD. 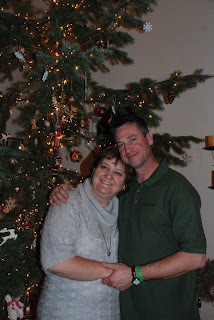 One year and one month- that is how long my home has been being used to house adoptive families. 34- That is the number of families that have passed through my home in the last year. 43- That is the number of children who now have homes because of these families. I am overwhelmed by the goodness of God this past year. Though there have been moments of feeling exhausted and a little overspent, the word that describes this past year has been REFRESHED. I love hearing people's stories. I love hearing how God has called people to adopt. I love seeing the church become passionate about the things that are close to the heart of God. I love seeing injustice defeated. I love seeing orphans placed in families...orphans no more. When I set out to take on this 'hospitality ministry' I was hoping that God would use my home to bless others, but I never expected that I would be the one to receive so many blessings in return. I have been humbled to walk along side those that are living a faith that bleeds. I have made friends for life on this adventure and I can truly say that my cup has been filled to the brim with joy. More than I ever expected. **Reposting this here, as I think it is a GREAT God story to be told! I've been on my fare share of adoption emotional roller coasters in the past several years. Even though I have yet to adopt myself, I feel like I've earned a couple dozen kids when I think of the number of adoption processes I've walked through with families, and the amount of sweat and tears I've shed riding the roller-coaster that is called adoption. 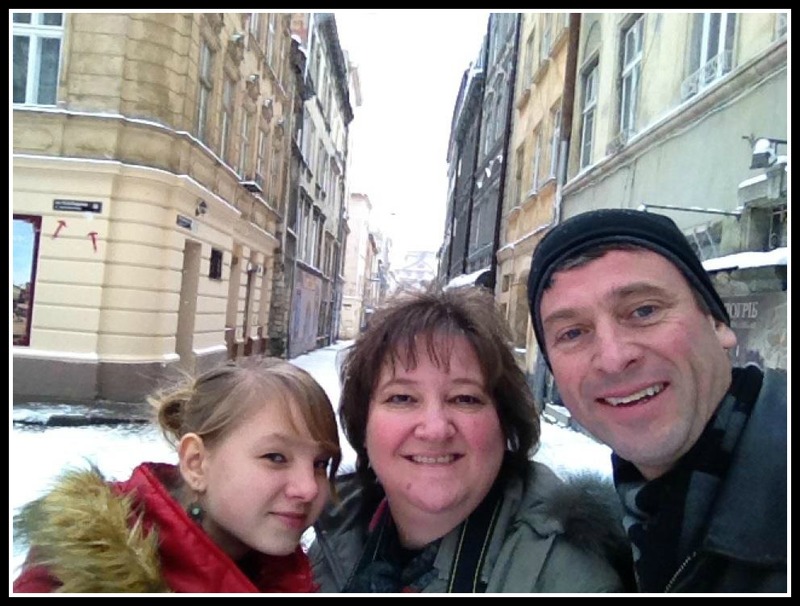 This past month the Degnan family has been living with me in my home in Kiev. Jamie and Tiffany and their daughter Lily are a part of Grace Place church in Colorado-- a church that feels like home to me, and yet I've never even been there! 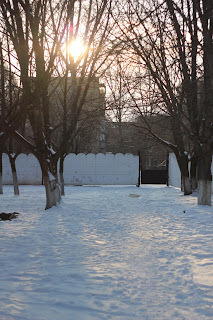 About 7 families have passed through my home this year that are connected with this church, so whenever they land in Kiev we are quick to become friends simply because we already have so many dear friends in common. At the Degnan's first adoption appointment they opted to not take a referral for a child, hoping they'd be given more files to choose from the second time around. The second referral sent them to a region to meet a darling little girl who they would later come to find out was already being pursued for adoption by another family. In true Ukrainian fashion nothing here has gone in a timely manner, and thus the Degnans waited and waited weeks for their 3rd and final appointment with the adoption department. In Ukraine you only get 3 chances to choose a child, and if the child says no, there are no 're-dos' - you go home. Doesn't seem fair in a country with 30,000 orphans available for adoption, but that is the way the game here is played. Well, their 3rd and final appointment was on Monday. I had hoped to go along, but the lady at the door didn't seem to like that idea, so I instead spent the next hour pacing in front of the door praying, praying and then praying some more and telling the devil to leave that building. After an hour they exited the room with faces bright and smiles...I took this as a good sign. They quickly told me they had taken a referral for a 10-year-old-girl (for this post we'll call her Anya), a girl who had just become available the Friday before. I guess God knows a thing or two about perfect timing doesn't He? I told them that her name means a gift from God, and in my heart I was praying that her name would be prophetic. Plans were made for the family to depart that night to the region to meet her. 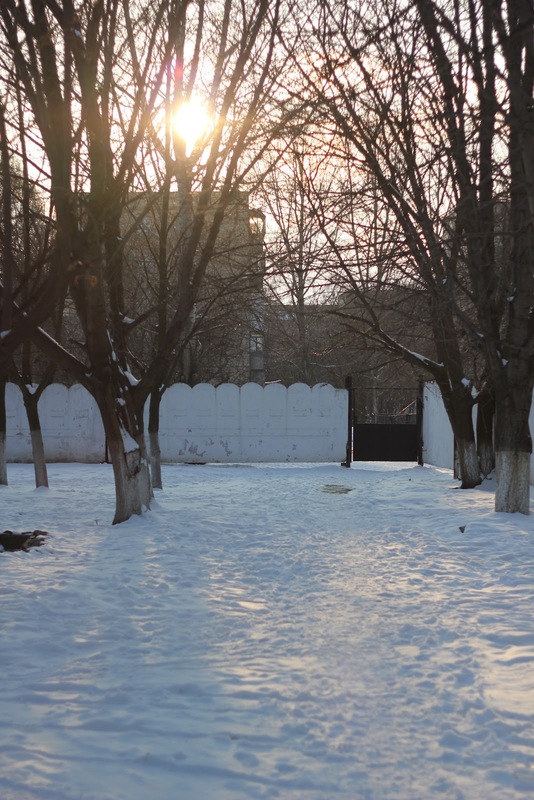 However, before tickets were even purchased they got a phone call from the director of the orphanage and were told that Anya had been notified that a family was coming and made it clear to the director that she had no desire to be adopted. My heart sunk for this family. How could it be that after waiting in country for a month for a referral it could come down to selecting a child that didn't want to be adopted? Though I typically don't travel to the regions with families, I felt like this situation warranted extra help and perhaps I could help bridge some communication gaps when they would meet her for the first time. So we boarded the train, tried to tuck our worries away and settled in for the 10 hour journey to her region. "God will make a way, where there seems to be no way...."
I've not sung that song since I was a little girl, and yet there it was in my head, loud and clear, as if I had sung it in church just yesterday. Okay Lord, I thought, I believe that, I know you can make a way. So make it! The next thing we know little Anya is walking into the the room. She greeted us with her big brown beautiful eyes. I told her that we were aware of her hesitations and yet this family was here to get to know her. Would she be willing to get to know them a bit? She smiled big and said yes and before we knew it we were carted off into another room where we proceeded to pour over pictures and share stories about life in America. We told her about all the Ukrainian kids in their community in Colorado and how she would be able to have lots of Russian speaking little friends. Her eyes seemed to light up at this information. All in all the interactions seemed great. Nothing overtly magical, but she was sweet, made great eye-contact and seemed pleased to spend time with all of us. She was whisked away for lunch after a short while and then came back for more pictures and questions. Before long everyone was called back into the director's office. Everyone sensed what was about to happen. My heart broke. Little Lily looked up at me, 'what did she say, Karen?' I don't even want to open my mouth. 'She said no, sweetie,' not fully wanting to believe the words I'm giving life to in English. I cannot put into words what it felt like to be in that room in that moment. It was like a bad dream. Here I was standing behind a family who was offering a little girl a new life, unconditional love, parental care, protection and hope of a better future. They were standing there with arms wide open and she could see it, and yet the familiarity of the orphanage seemed the better choice. Through tears they communicated to her that they understood her choice and wouldn't want to force her to do anything. She needed to want this. And with very few other words spoken, that little brown-eyed girl walked out of the room, leaving a very silent room behind. In that moment I felt as if I had been given just a tiny glimpse to the heart of God and how he feels towards us. He offers us that same gift through Jesus, and yet how many people have chosen to walk away? 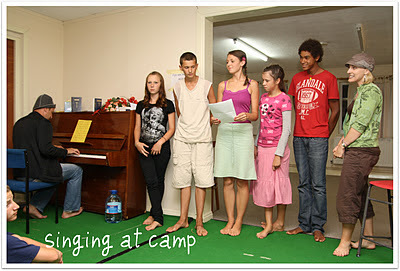 How many people would rather stay in their 'orphanage' then follow God into the unknown? Do they really comprehend the gift they are rejecting? In that moment I understood God's love and human free will in a way I never had before experienced. Here was a family overwhelmed with love for a little girl they had only just met and yet they recognized that the love would only be real if she came to it on her own volition, not by coercion. She had to make the choice. And in that moment she had chosen to walk away. And yet that silly song was still playing in my head. Seriously God?? It's OVER. She said NO. No more song! I DON'T GET THIS!!!! This doesn't make any sense!! Here this family has spent a month in Ukraine, they have a heart for adoption, and now you bring them to this moment? They go home without a child? Lord, I do not understand your ways. This was of course my internal dialogue that I was not communicating to our distraught party. Just my own wrestling with God as I was trying to make sense of it all. We all moved into another room to wait on the papers that needed to be drawn up saying that the girl had said no. Once our eyes were dry from tears I had a really good talk with Tiffany. I remember so clearly the words she said. "I don't have to understand the why of all this, I don't know how God is going to use our story, but I know he will. I know that my faith doesn't hinge on this, it is bigger than this. God is faithful and I now appreciate his love for me and my salvation in a whole new way." I was amazed and humbled to see her hope in the midst of her deep deep pain. We meandered our way back outside to find the taxis that were waiting for us. We stood huddled together on the snowy pavement, 'hey look' I said to Tiffany 'the sun is still shinning.' It was as if I was needing to remind myself, as much as I was them. The door flung open and out walks the facilitator with a smile on her face. "Anya changed her mind!" WHAT? We all said in disbelief. She repeated herself...."Anya changed her mind!" We learned that she had gone back to her class and couldn't focus one bit. Her mind was spinning and all of sudden her decision hit her hard. She stood up in the middle of her class declaring, "What have I done?" and then raced down to the directors office to find out if it was too late. She had made a mistake and wanted the family to come back. We all crowded back into the room and there she sat, a smile on her face with words declaring she'd made a mistake and this time she was certain in her answer. Her answer was yes...there was no doubt. I have yet to know what was going through that little girl's mind, the fear and the hope perhaps wrapped all together in one. I cannot imagine how difficult it was to say no and then how much courage it took to run back down those steps praying she wasn't too late. I am glad she wasn't. I'll admit, my faith at times is very small. I know God is a BIG God, but on this day I experienced this reality in a whole new way. A glimpse of His heart, a glimpse of his love and a glimpse of his grace. I think I'll have to start humming that song a little more often. I have had the privilege of hosting some dear friends for the past 7 weeks (well I was gone for 3 of those weeks!). Clarke and Kris Stoesz have been staying with my while they have been completing the adoption of their daughter Samantha Rose. This has been one of those long stories in the making, as they waited over a year for their lovely daughter to be available for adoption. We brought Samantha (then Ana) on a hosting/camp trip to the US in the summer of 2010 in partnership with Ukraine Orphan Outreach and it was there that she met the Stoesz family... and well, you know how the story goes! A connection was made to say the least. It took a long while for everything to get in order with Samantha's documents, but I was thrilled to learn that this Christmas season would be the time to welcome the Stoesz family to Ukraine! Clarke and Kris are on my list of heroes of the faith. This is their 4th (yep that's right- you read 4) adoption and their love and dedication towards the orphans of Ukraine continue to inspire me. I've had the privilege of partnering with them in ministry for about 4 years now as we have teamed up to bring kids to the US for summer camps and have partnered together in continuing relationships with the kids in the orphanages. They seek to glorify God in all they do and I see that their ministry is truly one that seeks what is always best for the children. Not to mention the fact that they appreciate all things Ukrainian and have such a love for this country. They also have quite the sense of adventure and managed to take overnight trains to 3 separate regions of Ukraine while they were here--despite the fact that they only had to be in Kiev for their adoption! Gotta love adventure- right? Though I love opening my home to all the different families I've met on this 'hospitality' journey-- I always count it as a true honor when I get to open my home to people that I already consider dear friends. And after sharing a living space for over 4 weeks I'd say we've earned the right to say we are even closer! Nothing like brushing your teeth together to be bonded for life! 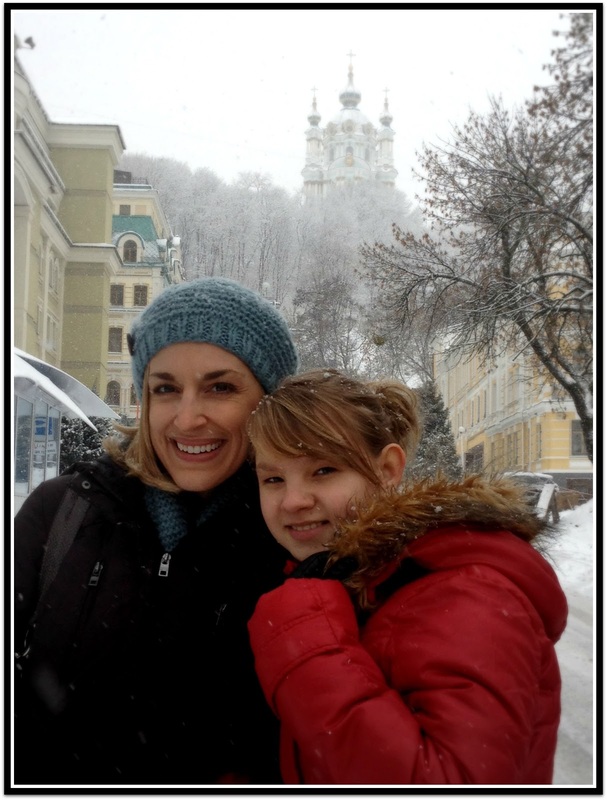 Their daughters Rhya and Natalie (also adopted from Ukraine- pictured above) were able to be a part of the adoption adventure for the first month and it was fun getting to know their spunky personalities while they were here in Kiev. It was a full house and I wouldn't have had it any other way! Since returning from the US last week I have so enjoyed the time I've had getting to know sweet Samantha. What a precious young lady she is and a joy she has been to have in my home. She has got to be one of the most helpful kids and I've yet to hear an ounce of complaining come out of this girl's mouth. I'm going to miss her sweet smile (and the after dinner dish washing too!). I know she will be a huge blessing to the Stoesz family-- as she has been the missing piece to their family puzzle. ** As of now I have families scheduled through February 12th! Tis the Season...to have an appointment! Hello adoption friends! Well the adoption center is back in business and so am I! Many families have received appointments for the month of December and it is great to have things moving again and seeing more kids placed in families! This Saturday my dear friends Clarke and Kris Stoesz will arrive to complete the adoption of Anna...a girl they've been waiting for since she was hosted first over a year ago! 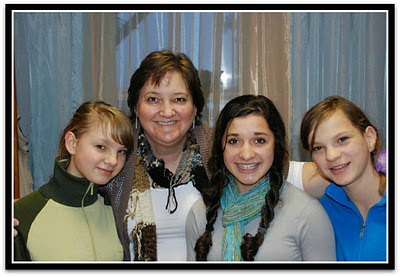 Anna is in Kiev region and the Stoesz family will be at my apartment for the duration of their adoption. After doing ministry together for many years, I'm so thrilled I can help them in this way. It works out well, since I am headed 'home for the holidays'- so they will be holding down the fort while I'm away. This means I won't be able to schedule new families to stay with me till likely the middle to end of January as that is when I will return to Ukraine-- and about when the Stoesz family should be departing home with their new daughter! Sorry I won't be able to assist more families this month. I've known Illya for a couple years through various ministry we have done in Kherson (Illya grew up in the main Kherson orphanage). However I didn't get to know him better until this past summer at camp, when he was in my English group. I always make kids sing silly songs in English and it seems to make us connect! He went along with it anyway-- good sport that he is. We had a lot of good laughs in the process. Illya is just the sweetest most polite kid! He was one of my 'best' students and I quickly learned it was because he had spent the Christmas holidays in the US, with an American family. I also soon learned that this family was amidst the paperwork process and would soon be traveling to adopt him! I was so excited when I found this out! 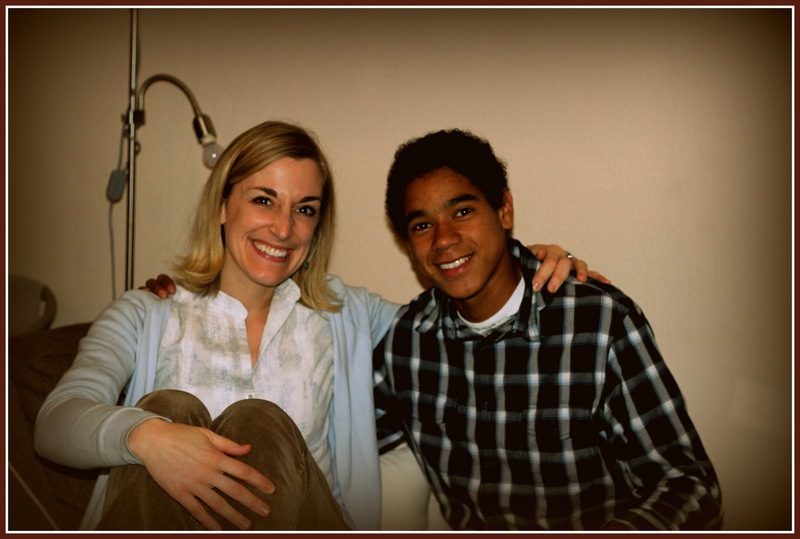 A 16-year-old boy-- on the verge of aging out, would be given a family-- just in time. I knew that Illya would do well in America. 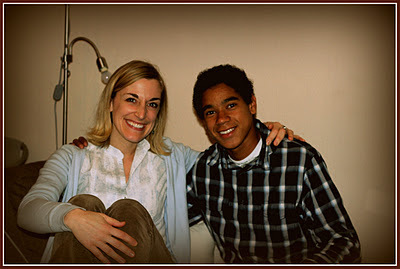 I also knew that a boy who is biracial would be accepted better in the US- then he ever would amidst the racism that is so prevalent in Ukraine. I asked Illya all about his soon to be family and made a point to remember their names so I could track them down and connect with them. After camp I searched all over the internet and could not find this couple who Illya said was going to adopt him. It seemed I must have had the name wrong or something! Well about 2 weeks after returning from camp I get an email from....you guessed it-- Illya's adoptive mom! Apparently she has been a blog follower of mine for awhile and when she saw Illya's picture posted along with the story I had written about camp she figured I must know her son and decided to write me and connect! I just love when God allows connections like this to happen-- just too cool. The woman I was looking for had found me! So all this back story to say....Illya's family finally got their adoption appointment to travel over and get him this fall. His parents stayed with me on their way to the region so I got to hear more of their story and how adoption was the last thing on their mind....until they met Illya! I love when God moves like that! This past week Illya and his mom stayed with me again as they were finishing up at the embassy and getting ready to head home today. The other night as we were all hanging out in the living room I looked at Illya and I looked at his mom and I couldn't help but smile. I love when life comes full circle like this. A boy I meet and get to work with at summer camp winds up being an adopted child that I get to see placed in a family-- a family that I then am able to open up my home to. It really doesn't get much sweeter than that! I've been in Kiev since 2004 working with orphans, adoptions, adoptive families, graduate orphans and directing the operations of Orphan's Promise in Ukraine. I have a passion to see kids in families and to see families have an enjoyable experience while in Ukraine. Hospitality House serves to help adoptive families who are in need of housing while in Kiev and are also looking to save money!